I like writing about the various aspects of books that really stick out to me. I think it’s important as a reader to re-experience these scenes and characters as much as possible for enjoyment and lasting memory. And I think it’s important as a writer to look at what stands out for me in writing, so that I can understand what makes these things work so well, and I can try to work some of these techniques, styles, tones, etc. into my own writing. I’ve already done a post on one of my favourite character relationships, and today I’m going to do a post on a book scene that I think is pretty much perfection. 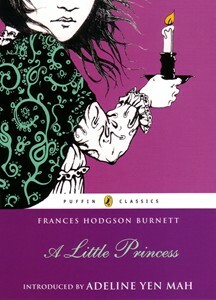 For the first post of this series, I have to go with another children’s classic, and, in fact, another book by Frances Hodgson Burnett (can you tell I love her writing?) 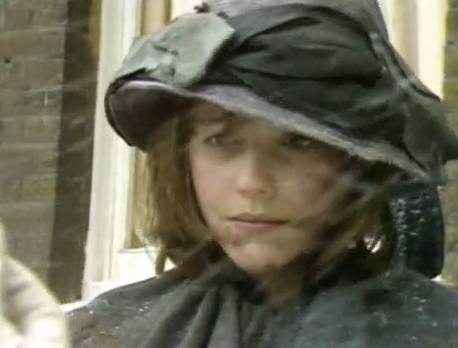 My first perfect scene comes from A Little Princess. A brief summary of the story, if you don’t know it, is as follows (spoilers, of course! ): Sara Crewe is the daughter of a wealthy, but extravagant man. When she is sent to a London boarding school for girls, she is given every possible comfort, to make up for the fact that she has to leave her beloved father. But when her father suddenly dies, all of Sara’s money disappears, and she is left with nothing and no one in the world. She becomes, basically, a slave to the boarding school, working unfairly hard to pay off the debts she owes from her father’s spending. But through both the riches and the hardships she faces, Sara remains a wonderfully charming, and kind-hearted girl, and in the end (don’t worry) all is set right in her world. Sara has just finished a particularly gruelling day, and, famished, one of her friends brings her and another servant girl some snacks from her room. Sara and the others pretend they are having a grand feast, and she is so excited by the thought of actual food that she is happy for the first time in a long while. But just before she gets to eat, the headmistress catches them, and demands they break-up their play. Sara goes to sleep in her attic servants’ room miserable. Now, a rich man living next door to the boarding school has been keeping tabs on Sara, through the accounts of his servant, who sometimes talks to Sara out of the attic windows. And during this night, unbeknownst to Sara, the man’s servant sneaks into her room while she is sleeping, and decorates the entire space with glorious things. When Sara wakes up the next morning, she is astounded to find a warm fire, a thick rug, a silk robe, and, among other things, a full hot breakfast. Sara thinks she is dreaming for a long time. But ultimately she realizes that something magical has happened, and she is overjoyed. Why do I love this scene? Can you imagine having that happen? Going to sleep in a cold, desolate room, and waking up to find the place decked out with luxuries? It is perfect magic, but yet, it is all realistic, too. Okay, so this kind of thing doesn’t happen all the time. But it could. There is nothing unbelievable about this scene, and I absolutely love that! I like magic in stories. But I also like magic in a non-magical setting. I don’t mean urban fairy-tales (which I am actually not a fan of), but rather realistic situations that highlight the magic of life. This scene brings to mind the magic of Christmas morning for a child, when he/she goes to sleep at night, and wakes up to find stockings and presents that weren’t there the evening before! So what have I taken from this as a writer? This scene showed me how “real life” can be magical. And so it’s something I try to work into my own writing. Even if I have full magic – spells, etc. – I try to make non-magical scenes sparkle with that little something. And, of course, as a reader, this scene just makes me happy every time I think of it. What is one of your all-time favourite scenes, or a scene that you think was written just perfectly? Have any scenes in particular influenced you as either a writer or a reader? I have actually never read that book–(The Little Princess) which is crazy because it's one of my all time favorite movies. I LOVE the scene you're talking about. Have you seen the movie? It makes me laugh and cry every time. I can't think of any scenes that have influenced me off the top of my head but I can instantly think of a writer. Cassandra Clare. She uses really beautiful metaphors that–to me–add a lot to her writing. I've definitely been inspired by her. Maggie Stiefvater comes to mind to, as far as having really lyrical, pretty writing. And the girl who wrote Shatter Me. (Which seemed to be a love it or hate it kind of book. Personally, I loved it) and lastly, Laini who's last name I can't remember. She wrote Daughter of Smoke and Bone. Amazing writer! Anyway, I'm going to stop now before I've written a book in your comment section. haha. Have you read any of the books I mentioned? *grumble cough* I actually didn't like the movie (if you're talking about the 1990s one) …I only read the book because I wanted to see the movie, and that movie doesn't actually follow the same plot line as the book, so I was *really* disappointed with it. But I probably would have felt differently if I'd seen the movie first. Can you believe I haven't read a single one of those authors/books?? I've heard of them all of course, but I haven't read them (I need to pick up my YA, don't I?) I've heard good things about these authors before, though, so I'll definitely have to check them out! I so much prefer real life scenes with a touch of the magical. They are powerful and relate to what is really possible in our world. I haven't read this book, but I'm going to now.